As the last remaining leaves fall from the trees, I start to think about all the beneficial insects that are seeking shelter under the leaf litter or attached to plant stems for the winter. With leaf blowers dominating the suburban landscape, many gardeners are perhaps not aware that they are eliminating next season's predators and parasitoids when they clean-up their garden in the fall. 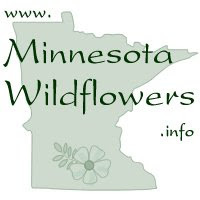 Eggs, larvae, pupae and adults of beneficial insects are blown or raked up, bagged with the leaves and set out at the curb. In perennial gardens we don't need to be this fastidious. 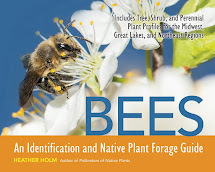 Leaves, plant debris, and flower stems equal insulation and nesting sites, including nesting sites for cavity-nesting bees and solitary wasps. If you grow apple trees then yes, cleanliness is important so the leaf litter under the trees does not harbor pest populations or fungi such as apple scab. Lacewings are fascinating insects that belong to the Chyrsopidae and Hemerobiidae families in the insect order Neuroptera. They have been long been recognized for their importance in the control of small or soft-bodied insects such as aphids, thrips, mites, and whiteflies. 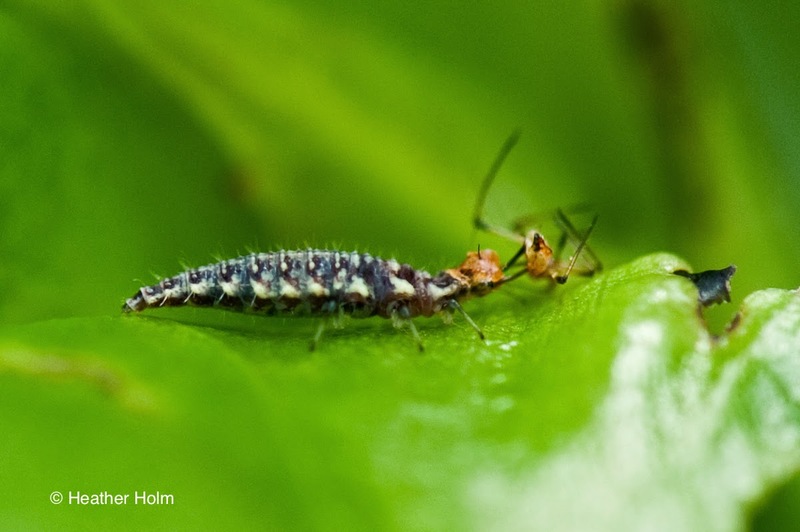 The larvae of lacewings are voracious predators and have been given several nicknames including 'aphid lions'. Adult lacewing females lay eggs on the underside of leaves, often where the pest population occurs. Brown lacewings lay their eggs directly onto leaves, green lacewing eggs are suspended from the leaf by long, thread-like stalks. 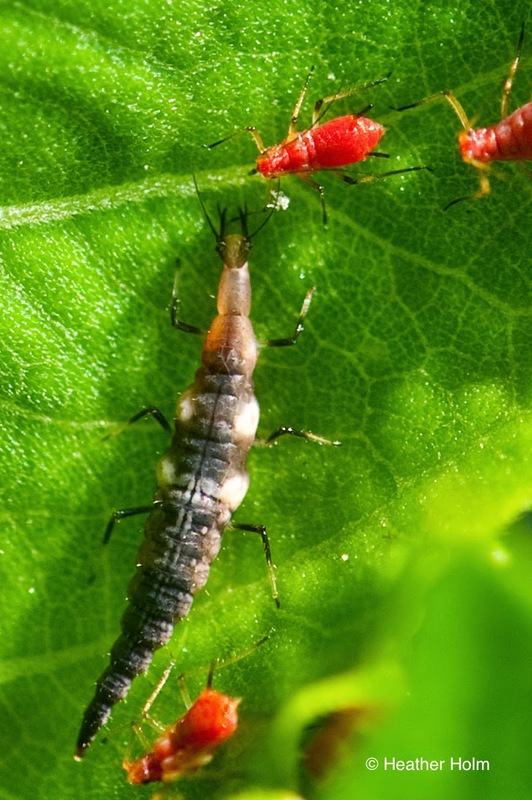 When the larvae hatch, they begin consuming their prey at an impressive rate - up to 400 aphids per week (source: Farming with Native Beneficial Insects). 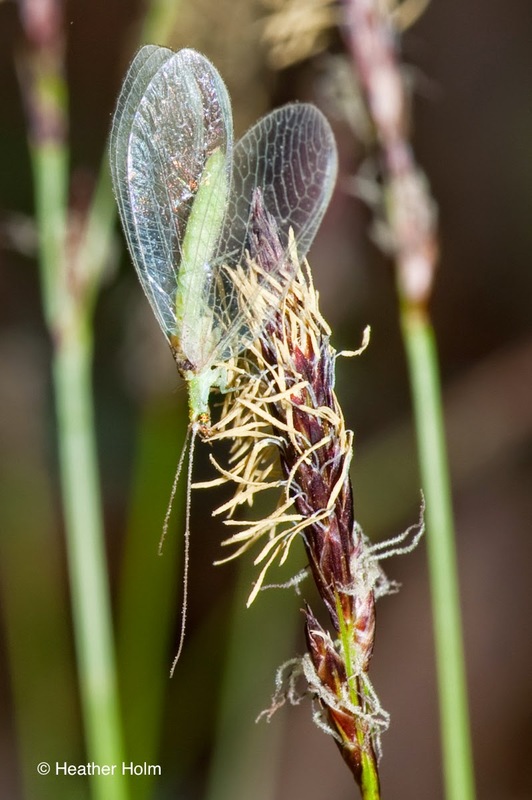 Adult lacewings feed on pollen and nectar from a variety of plants including forbs and sedges; they also feed on the honeydew created by aphids. There are multiple generations of lacewings throughout the growing season in our gardens. The larvae spin cocoons when ready to pupate; these cocoons are attached to leaves or plant stems. Lacewings overwinter in these cocoons; the leaves drop to the ground from perennial foliage in fall and the cocoon remains protected from winter temperatures in the layers of leaf litter. Lacewings can also overwinter as adults and seek shelter under the leaf litter or in another protected site such as behind a loose piece of tree bark. 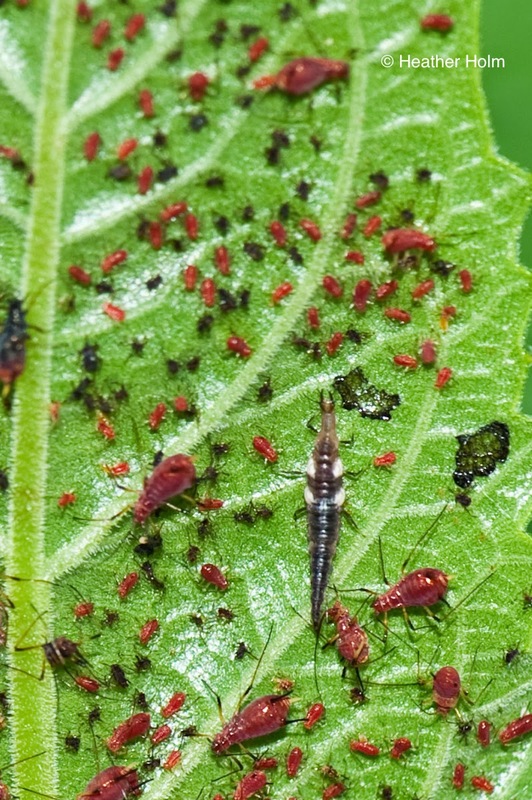 During the growing season, if you have a plant being afflicted by aphids, turn over the leaves and look for lacewing eggs or larvae. Lacewings are just one of many beneficial insects that need plant debris and leaves left in the garden. 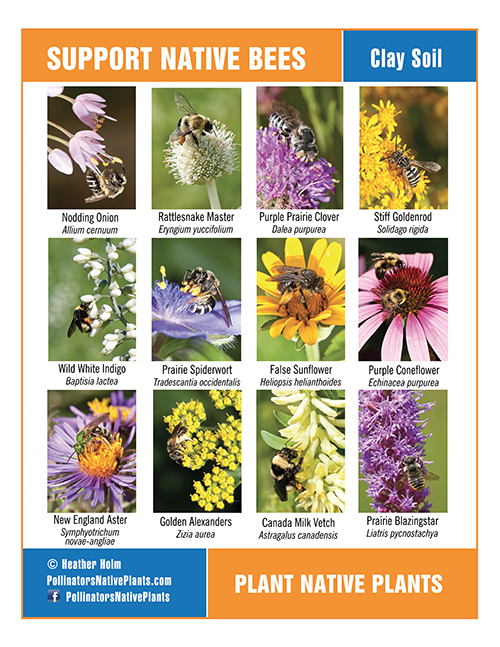 Cut down your perennial garden in late spring leaving 12-15" of perennial stem stubble (for cavity-nesting bees). Keep the debris instead of bagging it and use it as a natural mulch (combined with leaves) by laying it on the ground among the emerging perennial plants. The perennials will cover the debris in no time as their new leaves emerge and flower stalks form.